Nicole Scherzinger performed her song 'Victorious' at the closing ceremony. 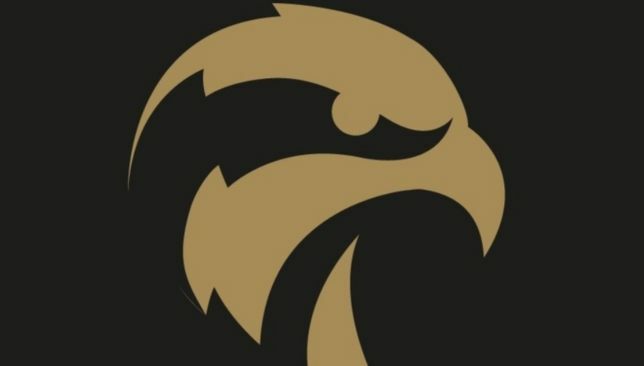 Seven days of sporting achievement, thousands of athletes and volunteers, dozens of events, countless displays of bravery, and millions of smiles. As the final curtain falls on Special Olympics World Games Abu Dhabi 2019, the athletes, coaches, families and fans came together to not only celebrate successes on the field of play, but to also look forward to exciting future achievements. Officials and dignitaries from the UAE and Special Olympics, including His Highness Sheikh Nahyan bin Zayed Al Nahyan Al Nahyan, Chairman of Abu Dhabi Sports Council, as well as Khalfan Mohammad Al Mazrouei, managing director of the event and the president of Liberia, George Weah, led the celebrations. Scherzinger opened the show with her latest song ‘Victorious’, written especially for the Special Olympics. The evening also saw Khaleeji idol Rashed Al Majed, Iraqi star Waleed Al Shami, and Emirati singer Hamad Al Ameri take to the stage. 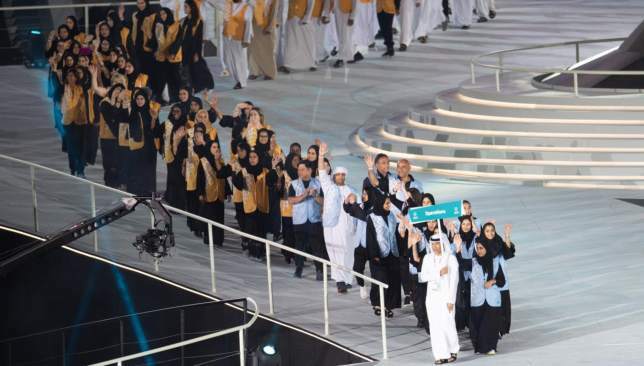 The stadium, which hosted the opening ceremony seven days earlier, witnessed athletes, coaches and delegations take part in an inspirational parade around the arena as representatives from 200 nations bid a fond farewell to the UAE capital. A special place at the heart of the closing ceremony was reserved for the scores of volunteers whose commitment and dedication ensured the largest sports and humanitarian event of the year ran smoothly each day. All eyes in the stadium turned to the giant screens for the World Games Abu Dhabi legacy film. Featuring a host of athletes, fans and famous faces, the short film summarised the seven days of sporting excellence and celebration of the human spirit by promoting a positive story for the future through unity and inclusion. The Flame of Hope, which had burned brightly in its cauldron at Zayed Sports City since the opening ceremony, officially passed on in a moving ritual. The ceremony came to an end with a performance from Settle. Each achievement and much more were celebrated in a huge outpouring of happiness from the artists on stage that echoed displays of joy and emotion from every athlete, coach and spectator inside the stadium.